I'm working on getting my patterns printed so they can be stocked by quilt shops, which has been such a big learning curve for me. Of course, when I don't know how to do something, I tend to procrastinate on it for ages, so I've been wanting to do this for a loooong time, but I'm finally getting it done. We'll just focus on that, okay? 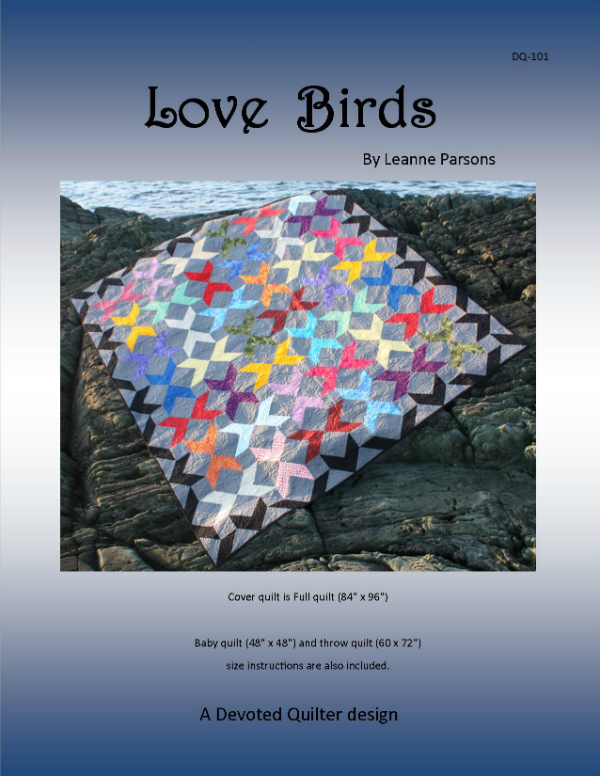 Love Birds is the first pattern I'll be having printed and to get it ready I expanded the pattern to add baby (48" x 48") and throw size (60" x 72") instructions. Options are wonderful, right? I've also updated the PDF pattern file available in my Payhip and Etsy shops, so if you want the PDF pattern, click on one of the shops to get yours today. If you'd like to see my printed patterns in your LQS, I'd love to have the shop's contact info so I can reach out to them once I have those patterns in hand. I've been getting quotes from printers the last few days, so I'll soon be ready to place that first order. Have you tackled anything new lately? Or have you been procrastinating on trying something? Please tell me I'm not alone in doing that, lol! How exciting Leanne! 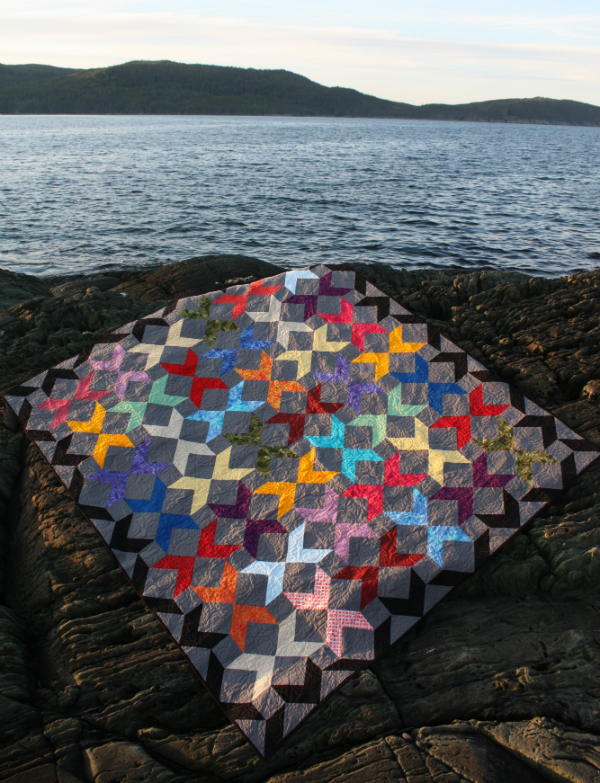 Your new venture sounds like a huge amount of work but I am sure that it will all be worth it when you see your first printed pattern in a quilt store. I've just bought the pattern - now I need to find the time to start it!